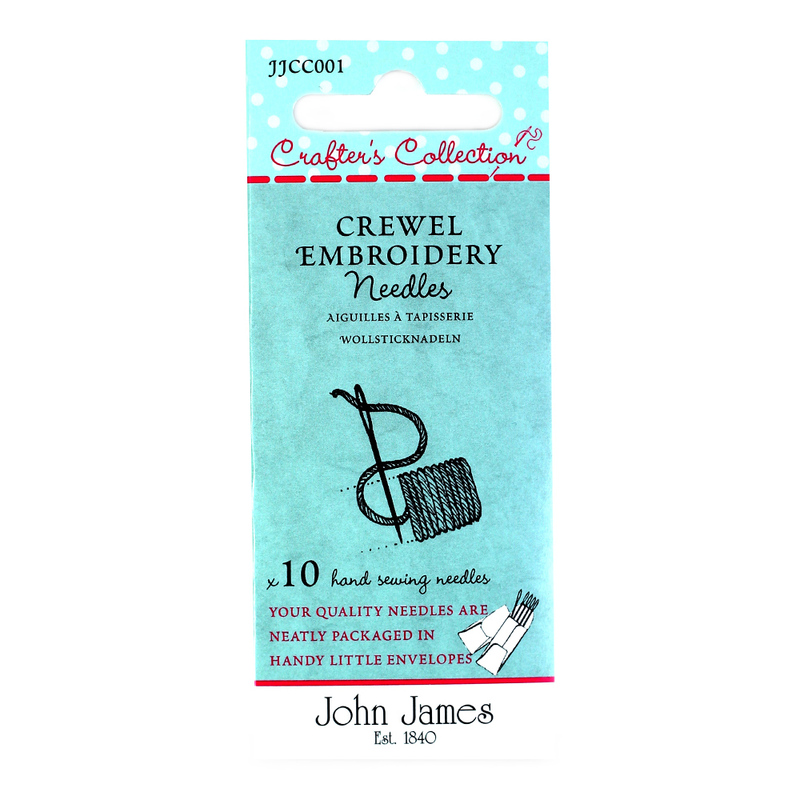 This design is ideal for the beginner starting crewel embroidery and contains medium sized crewel embroidery needles. The large eye makes it easier to thread especially when using crewel yarns and is ideal for creating Jacobean work. These needles will also accommodate 6 strands of floss/stranded cotton. Chenille needles have a sharp point making it easy to pierce the fabric when creating embroidery stitches. A medium to coarse fabric is recommended.